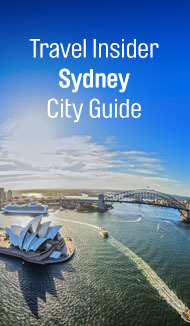 Deals on Qantas flights across a range of Australian and international destinations. Book flights, multi-city or round the world trips or search using our interactive map. Buy flight and unique experience vouchers. Earn Qantas Points when riding with Uber to and from eligible Australian airports. Book car hire and airport transfers around the world. Connect with a local pet sitter to mind your pet while you're on holiday. Explore our holiday specials and event packages. Search and book from over 15,000 cruise itineraries. Join or renew your membership, explore the benefits and lounge locations, or manage your complimentary lounge invitations. Designed for small to medium businesses. Discover how you can start earning great rewards and savings simply for running your business. Customised deals, dedicated account management support, saving plans and travel policies for large companies who fly a lot. Find out how to boost your businesses Qantas Points with a choice of American Express payment solutions. Terms and conditions for redeeming and earning Qantas Points by booking hotels on qantas.com/hotels and for earning Qantas Points by booking on Airbnb. You must be a member of the Qantas Frequent Flyer Program ("Member") to earn and redeem Qantas Points. Membership and the earning and redemption of Qantas Points are subject to the terms and conditions of the Qantas Frequent Flyer program. A joining fee may apply. These terms and conditions exist in addition to specific terms and conditions of a hotel booking. Logged in Qantas Frequent Flyer members can redeem Qantas Points when booking at qantas.com for all hotels. The ability to use Points Plus Pay is subject to meeting the minimum requirement of 5,000 Qantas Points and cannot be used for Classic Hotel Rewards. Qantas Points deduction: Once a booking is confirmed, Qantas Frequent Flyer members will receive an email and the number of Qantas Points required for the hotel will be deducted from their Qantas Frequent Flyer account. There is no fixed relationship between the cash value charged by the applicable hotel provider and the Qantas Points required to redeem a hotel room. Additional charges: Qantas Frequent Flyer members will not be able to redeem Qantas Points for additional charges paid to the hotel for extras (including cots, breakfasts and other incidentals) on check-in or check-out (as applicable). If a Member is eligible for a refund, the Member can elect whether they receive that refund (less any applicable fee) in cash, Qantas Points, or a combination of cash and Qantas Points. However, the number of Qantas Points or the cash amount refunded in such circumstances cannot exceed the number of Qantas Points originally used or the cash amount originally paid in respect of the booking. Earning Qantas Points when redeeming Qantas Points for hotels: Qantas Frequent Flyer members can earn Points (see 'Earning Points with Hotels' below) on eligible hotels. When members redeem Qantas Points for hotels, Qantas Points will be earned on eligible hotels based on the equivalent dollar value charged. Qantas Points will not be earned on cancelled bookings and on Classic Hotel Rewards. 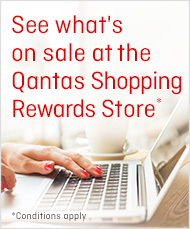 Qantas Frequent Flyer members can earn 3 Qantas Points per A$1 spent on eligible Qantas Hotels worldwide. Eligible Qantas Hotels include all Qantas Hotels, except Classic Hotel Rewards (Classic Rewards). A Classic Hotel Reward must be booked using Qantas Points only. Classic Hotel Rewards availability is limited. A Classic Hotel Reward must be booked using Qantas Points only. Cancellation and refund policies and conditions differ for each hotel, check at the time of booking. Qantas Frequent Flyer members will earn 3 Qantas Points per $1 spent for all stays booked at Qantas Hotels. Qantas Points are earned on accommodation only (room rate) and are not earned on any amounts payable directly to the hotel or additional fees or hotel sundries charged to the room (for example room service, hotel dining etc.). Qantas Points can be earned by the person staying at the hotel in addition to Qantas Points earned by the business. Members must enter their Qantas Frequent Flyer membership number at the time of booking on qantas.com/hotels in order to earn Qantas Points. Qantas Points cannot be split between two or more Members occupying the same room. Qantas Points will not be earned on cancelled bookings. Qantas Points are earned on no show bookings provided the Member has paid for the booking in full and the booking has not been cancelled. Qantas Points can take up to 8 weeks after your stay to be credited to your Qantas Frequent Flyer account. For all hotel bookings on qantas.com/hotels, Qantas Points may be earned only by the Member in whose name the booking is made (provided their membership details have been entered correctly). Qantas Points are earned in accordance with the rates set out above subject to the terms and conditions of the Qantas Frequent Flyer Program. Note: The Qantas Points earned by booking selected hotels on qantas.com/hotels are provided by Qantas Airways Limited. Other Qantas Points earn offers may be provided by some hotels (the hotel may or may not offer Qantas Points in addition to or instead of the Qantas Points earned by booking on qantas.com/hotels), although some hotels may not allow Members to earn Qantas Points with that hotel in conjunction with this or other offers. Qantas Business Rewards members can earn 1 Qantas Points per $1 spent on accommodation at hotels booked on qantas.com which have the Qantas Business Rewards logo on the booking page and where bookings are made for business purposes. member in accordance with the rates set out above subject to these terms and conditions and may only be earned on some rates. Qantas Business Rewards membership and Qantas Points are subject to the Qantas Business Rewards terms and conditions. Qantas Business Rewards Members will earn 1 Qantas Point per $1 spent on domestic and international hotels, booked for business purposes at qantas.com excluding Airbnb bookings. Qantas Points can be earned for the business in addition to the Qantas Points earned by the person staying at the hotel. Qantas Points are earned on the accommodation only (room rate) booked and paid for in the booking, and are not earned on any additional fees or hotel sundries charged to the room (for example, room service, hotel dining etc). Qantas Points will be earned for no show bookings provided the Member has paid for the booking in full and the booking has not been cancelled. Qantas Points will not be earned on cancelled bookings. Qantas Points can take up to 9 weeks after the stay to be credited to the business' Qantas Business Rewards account. Qantas Points are earned in accordance with the rates set out above subject to the terms and conditions of the Qantas Business Rewards Program. A business must be a Member of the Qantas Business Rewards Program at the time someone from their business stays to earn Qantas Points. Qantas Frequent Flyer members will earn 1 Qantas Point per A$1 value on the total amount you paid to Airbnb, provided that you navigated to Airbnb from a link on qantas.com and were currently logged in or provided your Qantas Frequent Flyer membership number. Members must enter their Qantas Frequent Flyer membership number at the time of booking on qantas.com/airbnb in order to earn Qantas Points. Qantas Frequent Flyer members who sign up as a new Airbnb host and list their first property in Australia will earn up to 20,000 points upon achieving a total booking value of $500 (excluding Airbnb service fees, cleaning fees and taxes) provided that they navigated to Airbnb from a link on qantas.com and provided their Qantas Frequent Flyer number at the time of creating their listing. If you navigate to Airbnb directly, or do not provide a valid Qantas Frequent Flyer number, you won’t get points. For all bookings on Airbnb, Qantas Points may be earned only by the Member in whose name the booking is made. The name on the Airbnb booking must match the name for the Qantas Frequent Flyer membership number provided. Qantas Points cannot be split between two or more members occupying the same property. For accommodation booked in a currency other than Australian dollars, or in locations where the local currency is not Australian dollars, the Australian dollar equivalent amount will be calculated using an exchange rate at the end of month following your stay as determined by Airbnb. Qantas Points will not be earned on bookings cancelled by the member or the host. Qantas Points will be calculated on the final value of your booking after any amendments. Qantas Points are earned on total guest fees paid to Airbnb. Qantas Points can take up to 8 weeks after your stay end to be credited to your Qantas Frequent Flyer account. Qantas Points are earned in accordance with the rates set out above subject to the terms and conditions of the Qantas Frequent Flyer Program. Qantas may change the number of points earned from time to time. Any booking made on the Airbnb site is being made with Airbnb and Qantas is in no way involved in the booking process or the accommodation provided. Airbnb’s terms and conditions govern all bookings made through Airbnb. If points haven’t been awarded 8 weeks after checkout contact us via email. Airbnb’s site may not have the same accessibility features as the Qantas site.